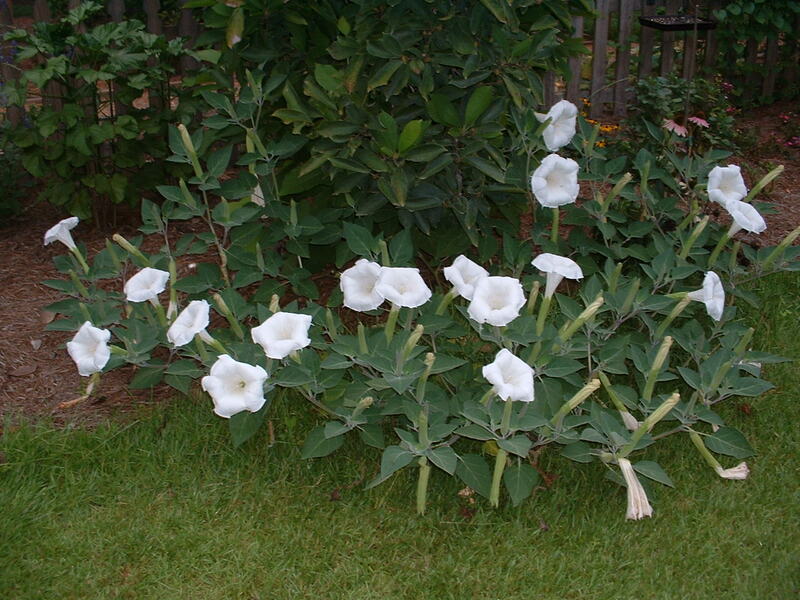 In the garden, as in life, there are angels and there are devils – such as the angel’s trumpet and the devil’s trumpet plants. I don’t know how each plant got its name but there are two characteristics that possibly led to it. The bell end of the devil’s trumpet comes from the ground and points up – as if from Hell, blasting out at Heaven. The angel’s trumpet is the opposite – as if from Heaven, blasting out at Hell. 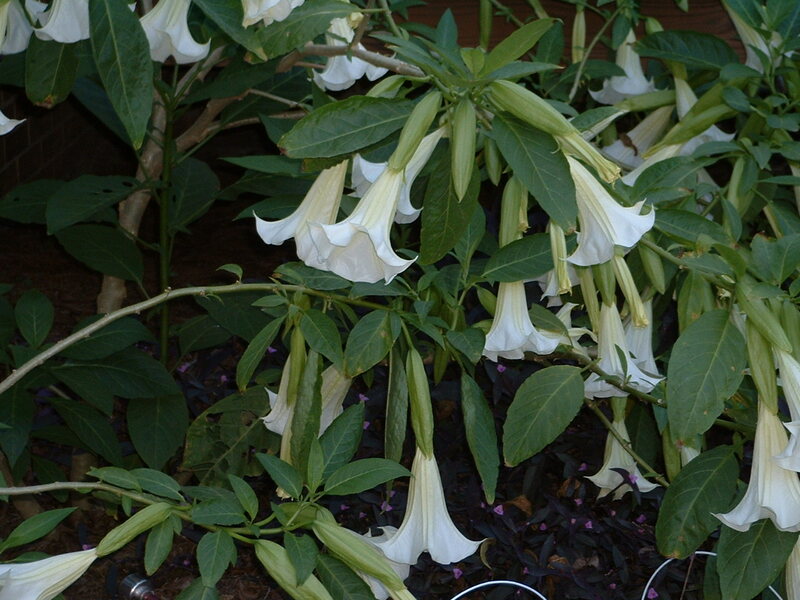 The most interesting fact is, while the angel’s trumpet flowers remain for several days, the devil’s trumpet blooms at night and the flower dies the next morning after it sees the light of day.